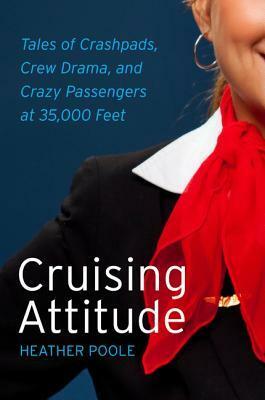 Goodreads: Real-life flight attendant Heather Poole has written a charming and funny insider's account of life and work in the not-always-friendly skies. Cruising Attitude is a Coffee, Tea, or Me? for the 21st century, as the author parlays her fifteen years of flight experience into a delightful account of crazy airline passengers and crew drama, of overcrowded crashpads in "Crew Gardens" Queens and finding love at 35,000 feet. The popular author of "Galley Gossip," a weekly column for AOL's award-winning travel website Gadling.com, Poole not only shares great stories, but also explains the ins and outs of flying, as seen from the flight attendant's jump seat. Kritters Thoughts: Have you ever wanted to go behind the scenes on someone else's job? For some reason I love hearing what other people do and what they love and hate about their job. I am not quite tall enough to be a flight attendant, but I am intrigued by the lifestyle of their job. This book was the perfect read to hear the ins and outs, the positives and the negatives to this unique job. As a flight attendant Heather Poole has experienced a far share of the crazies - from celebrities to your average person crazy! Her format to the book, going chronologically and even by subject matter was entertaining and easy to follow. She didn't a great job of sharing stories without throwing anyone under the bus, I didn't mind the vague details when it came to names of people, places or the airline carrier. It didn't affect the hilarious stories that she shared. What can happen 35,000 feet in the air? After reading this book, anything! I would recommend this book to those who travel constantly for a living or those who only travel every so often, each of us can find the humor in the customer service situations that she is thrust into on a daily basis. Oh yes, I definitely enjoy getting a behind the scenes look at another person's job (maybe that's why I like "Undercover Boss" so much?). No WAY could I be a flight attendant though - I'd have to be nice to too many nasty people! This sounds like a great read - glad you enjoyed it. Thanks for being on the tour! I liked reading about her experiences too. I didn't realize that being a stewardess could be so complicated - schedules, training, layovers, etc. It seems the author plans another book with more about her work.